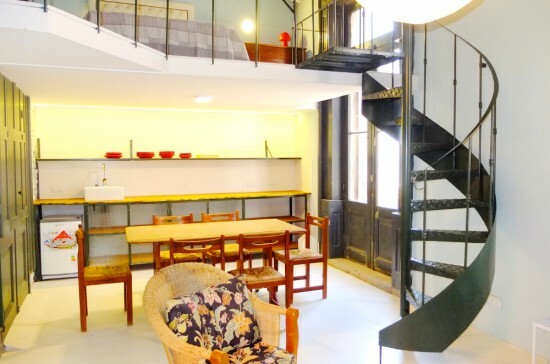 In an old printing building, recently renovated, large apartment with 2 bedrooms, 1 bathroom. Spacious and super comfortable: living-dining room with integrated kitchen decorated with vintage furniture belonging to Argentine families. Patio. Balcony. Sunny very luminous.